….the song that rant the air ‘Chennai super kingsku periya whistle adinga. enga ooru chennaiku periya whistle adinga. 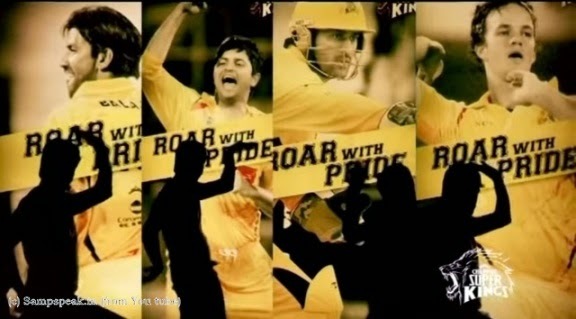 Enga thala dhoniku periya whistle adinga …’ … on a day when we went to see the match (IPL 6 – in IPL 7 none of the matches were played at Chepauk) – they painted the stadium yellow by distributing ‘yellow CSK T shirts’ with words ‘whistle podu’ …. –as one entered the stadium after a long queue and elaborate check-ups, a person was distributing small whistles inside the gate and a few yards later another, was confiscating them … both doing their jobs ! At Sao Paulo, it is of a different kind - likened to a hand grenade with brass knuckles, ridiculed as a "glorified rattle," and many praising it. Meet the ‘caxirola’, Brazil's answer to the vuvuzela, the elongated plastic horn that sounded like a bellicose water buffalo and was unleashed on mankind's eardrums during the 2010 World Cup in South Africa. "If you thought vuvuzelas were bad, wait until you hear the caxirola," groused the Guardian newspaper in Britain. The caxirola (pronounced ka-shee-role-ah) is making noise in the marketplace. The caxirola is a Brazilian percussion instrument created by Carlinhos Brown and consisting of a closed plastic basket with a flat-bottom filled with small synthetic particles. The World Cup's official marketers are busily selling the caxirola online as one of "10 Must Have" items for the well-equipped fan. It reportedly is available at big- box stores like Wal-Mart and select airport duty-free shops, according to its manufacturer, Chicago-based The Marketing Store ~ it is priced around : $14. Designed by Brazillian musician Carlinhos Brown, it's been certified by the Brazilian Ministry of Sport and FIFA and emblazoned with the FIFA logo as the "official noisemaker". Despite the noisemaker being blessed by some, including Brazil's President Dilma Rousseff, and an endorsement by FIFA, soccer's world governing body, federal officials have barred the caxirola from all 12 of the Brazilian soccer grounds where World Cup matches will be played ~ and hence the joys of wielding the instrument will be limited to those watching at home or in pubs and clubs. Caxirolas remain banned by Brazil's Ministry of Justice after spectators threw them at players during a game in 2013, initiating a redesign which created the current softer version. The new rattlers aren't the only thing banned from the Brazil games with FIFA publishing a lengthy stadium code of conduct for the 2014 World Cup recently. Spectators are banned from bringing weapons, fireworks or ladders and stools; large quantities of paper and powders; flags larger than three square metres. ……… and borrowing idea from IPL at Chepauk – spectators are not allowed to bring food and drink purchased outside the stadium into the complex. Authorities have expressed concern on the potential unpleasing sound of the official instrument of the Cup, as it happened with the vuvuzelas of the previous tournament. According to him, "the caxirola respects the sound limits. It reproduces sounds of nature, of the sea, because of that, we worked with the best acoustic engineers so that the sound was nice, pleasant. The instrument was presented at the opening of a festival called "O Olhar que Ouve" (The Look that Hears), made up of 19 works of art by Brown. 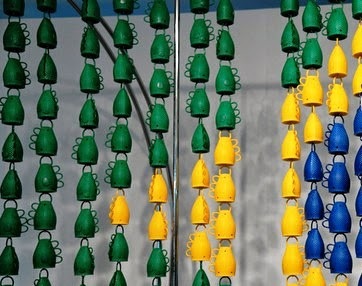 The caxirolas were tested by Brazilian president Dilma Roussef, who claimed they were "more beautiful than the vuvuzelas". Its maker Carlinhos [Brown] is an author and a great artist and in the words of Ms Dilma, he expresses a diverse world, but very specific, of Brazil, and specially of Bahia. In March 2013, FIFA tried to forbid the usage of the instrument during games, claiming it could be used as a weapon or as a method of publicity. The instruments resemble the shape and design of hand grenades. Indeed, during the Derby between the two greatest clubs in Salvador, Bahia and Vitória in April 2013, the first match in which the caxirola was given to the public, Bahia supporters threw hundreds of them on the field of Arena Fonte Nova as an answer for the team's 5-1 loss to their greatest rival. That is not all - people who work towards the preservation of traditional cultures of Brazil, have criticised that the caxirola is nothing but a copy of caxixi, simply adding slots for the fingers (such as brass knuckles) and that the native and ancient cultures of Brazil should be recognized as the true creators of the instruments and, as such, be benefited with that. To recall, ‘vuvuzela’ in news in FIFA 2010 is a plastic horn, about 65 centimetres (2 ft) long, which produces a loud monotone note- the intensity of these outputs depends on the blowing technique and pressure exerted. Traditionally made and inspired from a kudu horn, the vuvuzela was used to summon distant villagers to attend community gatherings. The vuvuzela became the subject of controversy at football matches as the mass usage by spectators and resultant high sound pressure levels at close range can lead to permanent hearing loss for unprotected ears after exposure; Vuvuzela was the unofficial symbol of the 2010 World Cup – seemingly loved and hated in equal measure…. So which team are you going to whistle for ….. for some only Cricket is the sport !